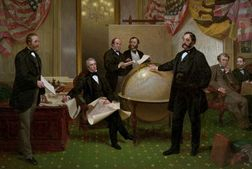 An early supporter of American expansion was William Seward, Secretary of State under presidents Abraham Lincoln and Andrew Johnson. In 1867, Seward arranged for the U.S. to buy Alaska from the Russians for $7.2 million. Seward had some trouble persuading the House of Representatives to approve funding for the purchase. Some people thought it was silly to buy what they called “Seward’s Icebox” or “Seward’s folly.” Time showed how wrong they were. 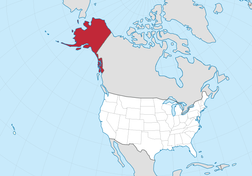 In 1959, Alaska became a state. For about two cents an acre, the United States had acquired a land rich in timber, minerals, and, as it turned out, oil. In 1867, the same year in which Alaska was purchased, the United States took over the Midway Islands, which lie in the Pacific Ocean about 1300 miles north of Hawaii. No one lived on the islands, so the event did not attract much attention. Hawaii was another question. 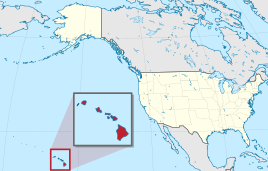 The Hawaiian Islands had been economically important to the United States for nearly a century. Since the 1790s, American merchants had stopped there on their way to China and East India. In the 1820s, Yankee missionaries founded Christian schools and churches on the islands. Their children and grandchildren became sugar planters who sold most of their crop to the United States. In the mid-19th century, American-owned sugar plantations accounted for about three-quarters of the islands’ wealth. Plantation owners imported thousands of laborers from Japan, Portugal, and China. By 1900, foreigners and immigrant laborers outnumbered native Hawaiians about three to one. White planters profited from close ties with the United States. In 1875, the United States agreed to import Hawaiian sugar duty-free. Over the next 15 years, Hawaiian sugar production increased nine times. Then the McKinley Tariff of 1890 provoked a crisis by eliminating the duty-free status of Hawaiian sugar. As a result, Hawaiian sugar growers faced competition in the American market. American planters in Hawaii called for the United States to annex the islands so they wouldn’t have to pay the duty. U.S. military and economic leaders already understood the value of the islands. In 1887, they pressured Hawaii to allow the United States to build a naval base at Pearl Harbor, the kingdom’s best port. The base became a refueling station for American ships. Also in that year, Hawaii’s King Kalakaua had been strong-armed by white business leaders. They forced him to amend Hawaii’s constitution, effectively limiting voting rights to only wealthy landowners. But when Kalakaua died in 1891, his sister Queen Liliuokalani came to power with a “Hawaii for Hawaiians” agenda. She proposed removing the propertyowning qualifications for voting.